Critical thinking skills are vital for today’s students, but many don’t have the tools they need to cultivate them. In this 1-hour course presented by thinkLaw, educators will discover strategies for enhancing critical thinking and student engagement in their classrooms. As both an educator and a lawyer, Colin Seale brings a fresh perspective to this subject. What does being a lawyer have to do with teaching? Educator and lawyer Colin Seale says that some of the principles lawyers use in their work can also be used in the classroom to help your students build their critical thinking skills. 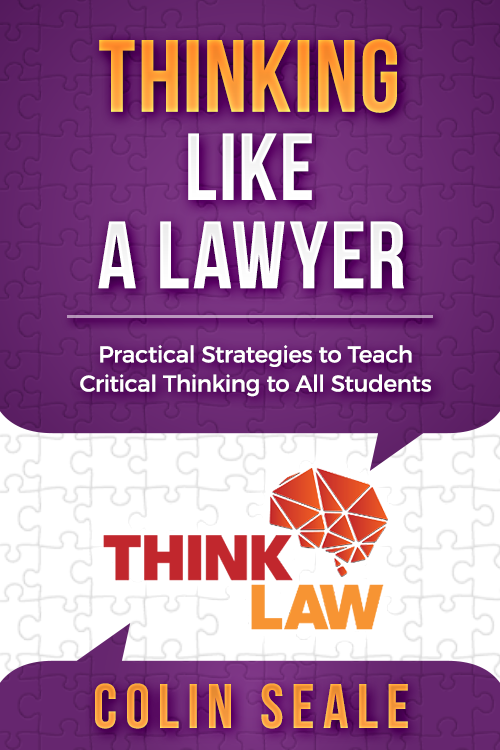 In the course “Thinking Like a Lawyer – Powerful and Practical Strategies to Teach Critical Thinking to All Students,” educators will discover why critical thinking skills are so important for today’s students and how to cultivate them effectively. Mr. Seale presents teachers with activities and examples to help them build their critical thinking toolboxes.